Researchers from Arizona State University have demonstrated that living cells can be induced to carry out complex computations in the manner of tiny robots or computers. It’s an example of engineers and biologists coming together to create an innovative solution to the performing of calculations. The implications are a potential game-changer for intelligent drug design and smart drug delivery. Other fields that could be affected include green energy production, low-cost diagnostic technologies and the development of futuristic nanomachines to be used in gene-editing. The basis of the new technology is the natural interactions between nucleic acid; in this case the predictable and programmable RNA-RNA interactions. RNA is ribonucleic acid, an important molecule with long chains of nucleotides. From this basis, lead researcher Professor Alex Green has used computer software to design RNA sequences that behave the way researchers want them to in a cell. This makes the design process a much faster. The output is circuit designs, which look like conventional electronic circuits, but which self-assemble inside bacterial cells. This allows the cells to sense incoming messages and respond to them by producing a computational output. To test this out, the researchers worked with specialized circuits called logic gates. The tiny circuit switches were tripped when messages (RNA fragments) which attached themselves to their complementary RNA sequences in the cellular circuit. This activated the logic gate and produced an output. A series of more complex logic gates were then designed, to respond to multiple inputs. Here logic gates known as AND, OR and NOT were designed. Efficient storage technologies are necessary if solar and wind energy is to help satisfy increased energy demands. One important approach is storage in the form of hydrogen extracted from water using solar or wind energy. This process takes place in a so-called electrolyser. Thanks to a new material developed by researchers at the Paul Scherrer Institute PSI and Empa, these devices are likely to become cheaper and more efficient in the future. The material in question works as a catalyst accelerating the splitting of water molecules: the first step in the production of hydrogen. Researchers also showed that this new material can be reliably produced in large quantities and demonstrated its performance capability within a technical electrolysis cell – the main component of an electrolyser. The results of their research have been published in the current edition of the scientific journal Nature Materials. Since solar and wind energy is not always available, it will only contribute significantly to meeting energy demands once a reliable storage method has been developed. One promising approach to this problem is storage in the form of hydrogen. This process requires an electrolyser, which uses electricity generated by solar or wind energy to split water into hydrogen and oxygen. Hydrogen serves as an energy carrier. It can be stored in tanks and later transformed back into electrical energy with the help of fuel cells. This process can be carried out locally, in places where energy is needed such as domestic residences or fuel cell vehicles, enabling mobility without the emission of CO2. 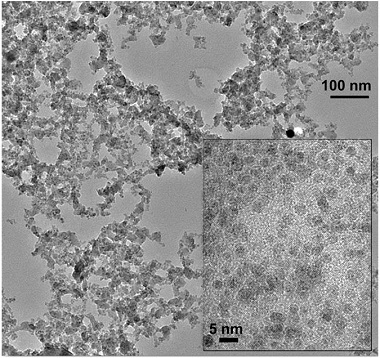 Nanoparticles of a perovskite that can be used as an efficient catalyst for electrolysers. 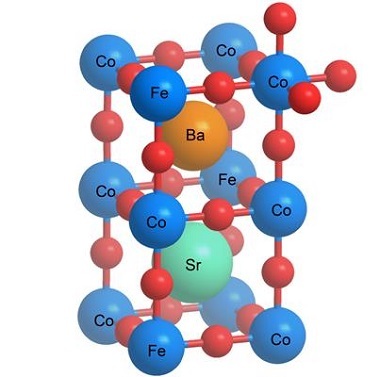 Exploring this procedure, researchers were able to use a material that had already been developed: an intricate compound of the elements barium, strontium, cobalt, iron and oxygen – a so-called perovskite. 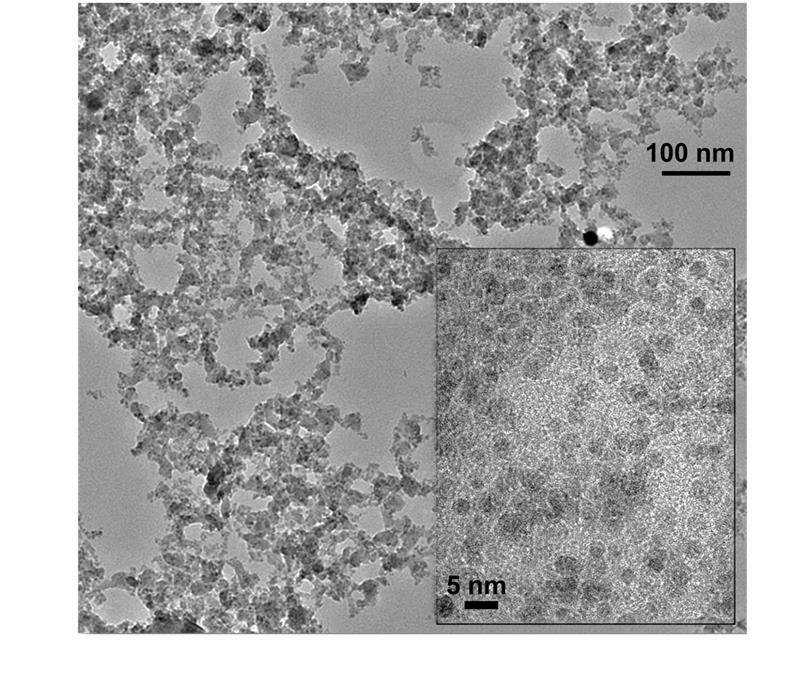 But they were the first to develop a technique enabling its production in the form of miniscule nanoparticles. This is the form required for it to function efficiently since a catalyst requires a large surface area on which many reactive centres are able to accelerate the electrochemical reaction. Once individual catalyst particles have been made as small as possible, their respective surfaces combine to create a much larger overall surface area. Researchers were able to show that these procedures work not only in the laboratory but also in practice. The production method delivers large quantities of the catalyst powder and can be made readily available for industrial use. “We were eager to test the catalyst in field conditions. Of course, we have test facilities at PSI capable of examining the material but its value ultimately depends upon its suitability for industrial electrolysis cells that are used in commercial electrolysers,” says Fabbri. Researchers tested the catalyst in cooperation with an electrolyser manufacturer in the US and were able to show that the device worked more reliably with the new PSI-produced perovskite than with a conventional iridium-oxide catalyst. Researchers were also able to carry out precise experiments that provided accurate information on what happens in the new material when it is active. This involved studying the material with X-rays at PSI’s Swiss Light Source SLS. This facility provides researchers with a unique measuring station capable of analysing the condition of a material over successive timespans of just 200 milliseconds. “This enables us to monitor changes in the catalyst during the catalytic reaction: we can observe changes in the electronic properties or the arrangement of atoms,” says Fabbri. At other facilities, each individual measurement takes about 15 minutes, providing only an averaged image at best.” These measurements also showed how the structures of particle surfaces change when active – parts of the material become amorphous which means that the atoms in individual areas are no longer uniformly arranged. Unexpectedly, this makes the material a better catalyst. Working on the development of technological solutions for Switzerland’s energy future is an essential aspect of the research carried out at PSI. To this end, PSI makes its ESI (Energy System Integration) experimental platform available to research and industry, enabling promising solutions to be tested in a variety of complex contexts. The new catalyst provides an important base for the development of a new generation of water electrolysers. Nanotechnology and the ‘NextGen’ of Sensors for: Medicine-Healthcare, Environment, and Biology. Flexible sensors hold great promise for various innovative applications in fields such as medicine, healthcare, environment, and biology. Considering that most wearable systems, healthcare electronics, and laboratory-on-a-chip testing tools can be expected to come into contact with arbitrarily curved interfaces, the flexibility of sensors is essential for improving their interactions with target systems and improving the reliability and stability of the tests. Over the past decade, the development of flexible and stretchable sensors for various functions has been accelerated by rapid advances in materials, processing methods, and platforms. For practical applications, new expectations are arising in the pursuit of highly economical, multifunctional, biocompatible flexible sensors. 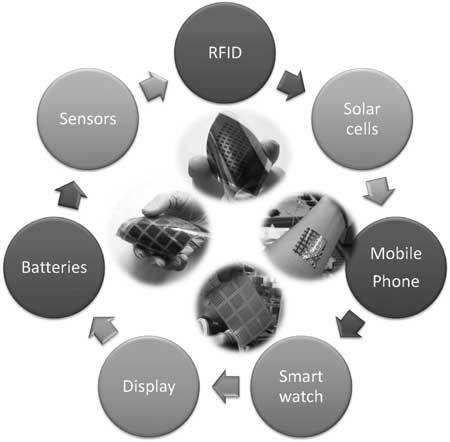 A new review article in Advanced Materials (“An Overview of the Development of Flexible Sensors”) aims to illustrate various types of flexible sensors. Rather than summarizing the huge body of relevant previous work, the authors select noteworthy work that may suggest crucial future trends of flexible sensors. 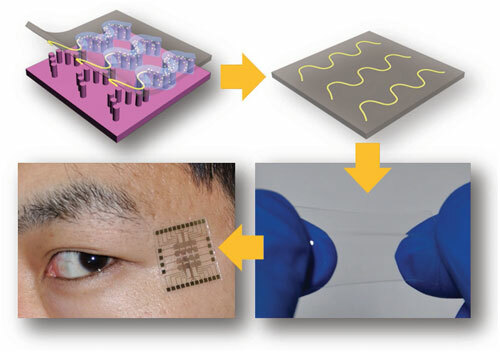 They summarize the recent state-of-the-art flexible electronics currently employed as flexible light sensors, flexible pH sensors, flexible ion sensors, and flexible biosensors.The selections of materials and the fabrications of devices are included in every part. 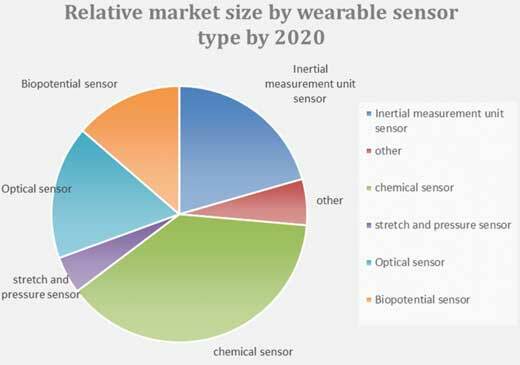 The authors also provide a detailed description of engineering technologies with an emphasis on flexible sensor fabrication.They then present market analysis on the world sensor market, printed sensors, and wearable sensors. Numerous opportunities and challenges remain in the future research and development of high-performance flexible sensors.For flexible sensors attached to the human body or its organs, the biocompatibility of the active materials and flexible substrates, including long-term toxicity analyses, is a crucial research area, especially for invasive applications.Innovative utilization of device designs, materials, assembly methods, and surface engineering, as well as interface engineering, can address these challenges. The development of new materials for active layers, substrates, and conductive layers can give rise to soft, stretchable sensors; this emerging paradigm can extend the scope of current technologies for different sensing functions.Improvement of both flexibility and sensitivity is another challenge for state-of-the-art flexible sensors. The development of novel elastic materials for flexible and stretchable substrates, geometrical electrode designs, combinations of molecular designs in organic materials, and utilization of conceptually novel materials could optimize the trade-off between sensitivity and flexibility. Nevertheless, raising the density of sensors leads to increased crosstalk. Reducing the size of sensors diminishes the amplitude of signals. These problems can be addressed by connecting each sensor with active devices such as transistors to enable local signal amplification and transduction.The development of sensors is the enabling technology for Internet of Things (IoT). A surge in IoT provides plentiful opportunities for spreading out of flexible sensors with reconfigurable shape and size.Thanks to their light weight, thinness, and robustness, flexible sensors can be seamlessly integrated onto any surface to provide users more improved avenues, which is difficult to realize in conventional electromechanical sensors. With the development of polymers, oxides, printing technologies, and CMOS technologies, flexible sensors will unlock a completely novel set of IoT products. The achievement of these fantastic sensing applications will bring us closer to the new electronic era promised by flexible sensors. Supercapacitors are an aptly named type of device that can store and deliver energy faster than conventional batteries. They are in high demand for applications including electric cars, wireless telecommunications and high-powered lasers. But to realize these applications, supercapacitors need better electrodes, which connect the supercapacitor to the devices that depend on their energy. These electrodes need to be both quicker and cheaper to make on a large scale and also able to charge and discharge their electrical load faster. A team of engineers at the University of Washington thinks they’ve come up with a process for manufacturing supercapacitor electrode materials that will meet these stringent industrial and usage demands. The researchers, led by UW assistant professor of materials science and engineering Peter Pauzauskie, published a paper on July 17 in the journal Nature Microsystems and Nanoengineering (“Rapid synthesis of transition metal dichalcogenide–carbon aerogel composites for supercapacitor electrodes”) describing their supercapacitor electrode and the fast, inexpensive way they made it. Their novel method starts with carbon-rich materials that have been dried into a low-density matrix called an aerogel. This aerogel on its own can act as a crude electrode, but Pauzauskie’s team more than doubled its capacitance, which is its ability to store electric charge. These inexpensive starting materials, coupled with a streamlined synthesis process, minimize two common barriers to industrial application: cost and speed. Full x-ray reconstruction of a coin cell supercapacitor. Effective supercapacitor electrodes are synthesized from carbon-rich materials that also have a high surface area. The latter requirement is critical because of the unique way supercapacitors store electric charge. While a conventional battery stores electric charges via the chemical reactions occurring within it, a supercapacitor instead stores and separates positive and negative charges directly on its surface. To get the high surface area for an efficient electrode, the team used aerogels. These are wet, gel-like substances that have gone through a special treatment of drying and heating to replace their liquid components with air or another gas. These methods preserve the gel’s 3-D structure, giving it a high surface area and extremely low density. It’s like removing all the water out of Jell-O with no shrinking. “One gram of aerogel contains about as much surface area as one football field,” said Pauzauskie. Crane made aerogels from a gel-like polymer, a material with repeating structural units, created from formaldehyde and other carbon-based molecules. This ensured that their device, like today’s supercapacitor electrodes, would consist of carbon-rich materials. Previously, Lim demonstrated that adding graphene — which is a sheet of carbon just one atom thick — to the gel imbued the resulting aerogel with supercapacitor properties. But, Lim and Crane needed to improve the aerogel’s performance, and make the synthesis process cheaper and easier. In Lim’s previous experiments, adding graphene hadn’t improved the aerogel’s capacitance. So they instead loaded aerogels with thin sheets of either molybdenum disulfide or tungsten disulfide. Both chemicals are used widely today in industrial lubricants. The researchers treated both materials with high-frequency sound waves to break them up into thin sheets and incorporated them into the carbon-rich gel matrix. They could synthesize a fully-loaded wet gel in less than two hours, while other methods would take many days. After obtaining the dried, low-density aerogel, they combined it with adhesives and another carbon-rich material to create an industrial “dough,” which Lim could simply roll out to sheets just a few thousandths of an inch thick. 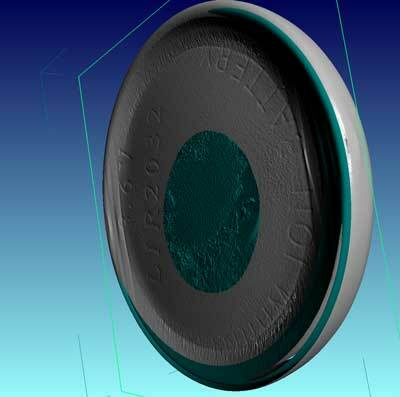 They cut half-inch discs from the dough and assembled them into simple coin cell battery casings to test the material’s effectiveness as a supercapacitor electrode. Not only were their electrodes fast, simple and easy to synthesize, but they also sported a capacitance at least 127 percent greater than the carbon-rich aerogel alone. Lim and Crane expect that aerogels loaded with even thinner sheets of molybdenum disulfide or tungsten disulfide — theirs were about 10 to 100 atoms thick — would show an even better performance. But first, they wanted to show that loaded aerogels would be faster and cheaper to synthesize, a necessary step for industrial production. The fine-tuning comes next. The team believes that these efforts can help advance science even outside the realm of supercapacitor electrodes. Their aerogel-suspended molybdenum disulfide might remain sufficiently stable to catalyze hydrogen production. And their method to trap materials quickly in aerogels could be applied to high capacitance batteries or catalysis. A hypoallergenic electronic sensor can be worn on the skin continuously for a week without discomfort, and is so light and thin that users forget they even have it on, says a Japanese group of scientists. The elastic electrode constructed of breathable nanoscale meshes holds promise for the development of noninvasive e-skin devices that can monitor a person’s health continuously over a long period. Wearable electronics that monitor heart rate and other vital health signals have made headway in recent years, with next-generation gadgets employing lightweight, highly elastic materials attached directly onto the skin for more sensitive, precise measurements. However, although the ultrathin films and rubber sheets used in these devices adhere and conform well to the skin, their lack of breathability is deemed unsafe for long-term use: dermatological tests show the fine, stretchable materials prevent sweating and block airflow around the skin, causing irritation and inflammation, which ultimately could lead to lasting physiological and psychological effects. 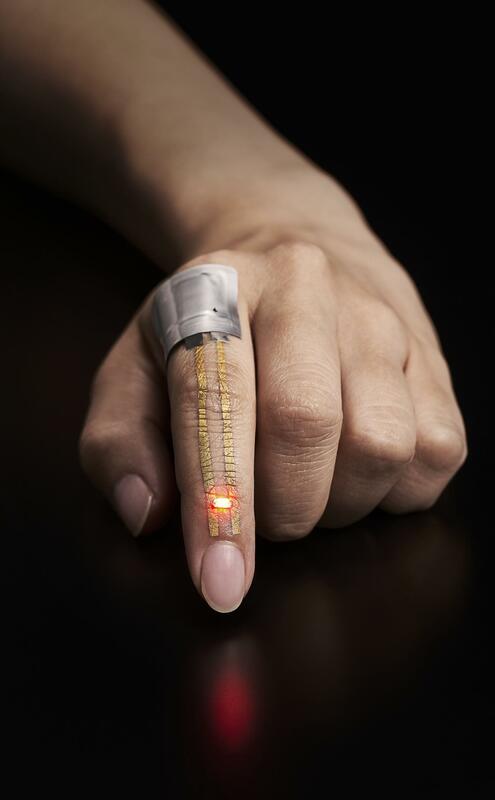 “We learned that devices that can be worn for a week or longer for continuous monitoring were needed for practical use in medical and sports applications,” says Professor Takao Someya at the University of Tokyo’s Graduate School of Engineering whose research group had previously developed an on-skin patch that measured oxygen in blood. 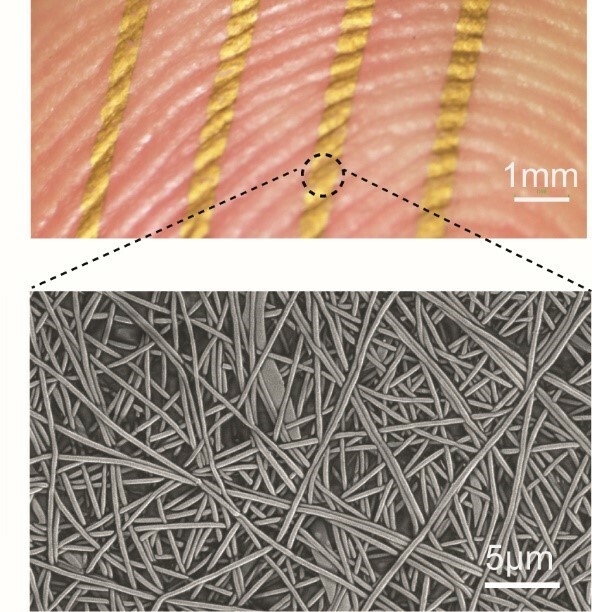 In the current research, the group developed an electrode constructed from nanoscale meshes containing a water-soluble polymer, polyvinyl alcohol (PVA), and a gold layer—materials considered safe and biologically compatible with the body. The device can be applied by spraying a tiny amount of water, which dissolves the PVA nanofibers and allows it to stick easily to the skin—it conformed seamlessly to curvilinear surfaces of human skin, such as sweat pores and the ridges of an index finger’s fingerprint pattern. 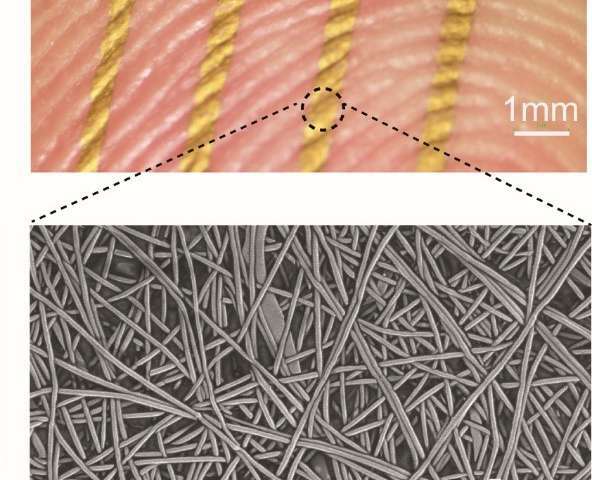 An array of nanomesh conductors attached to a fingertip, top, and a scanning electron microscope (SEM) image of a nanomesh conductor on a skin replica, bottom. Credit: 2017 Someya Laboratory. 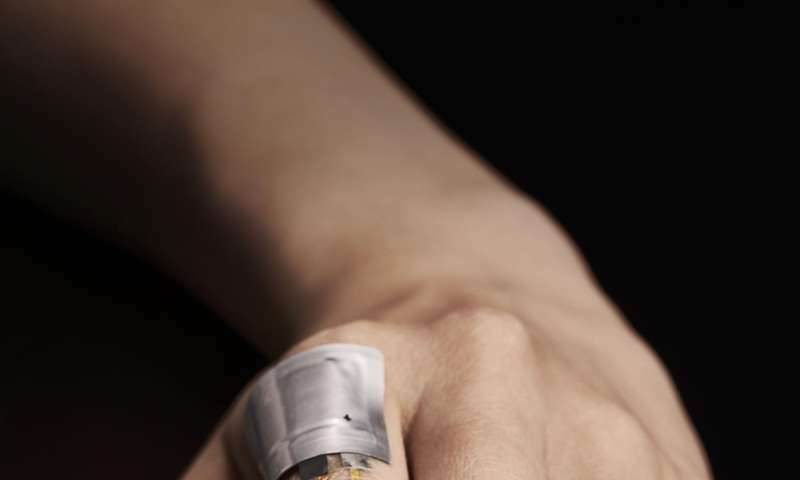 The researchers next conducted a skin patch test on 20 subjects and detected no inflammation on the participants’ skin after they had worn the device for a week. The group also evaluated the permeability, with water vapor, of the nanomesh conductor—along with those of other substrates like ultrathin plastic foil and a thin rubber sheet—and found that its porous mesh structure exhibited superior gas permeability compared to that of the other materials. Furthermore, the scientists proved the device’s mechanical durability through repeated bending and stretching, exceeding 10,000 times, of a conductor attached on the forefinger; they also established its reliability as an electrode for electromyogram recordings when its readings of the electrical activity of muscles were comparable to those obtained through conventional gel electrodes. The electric current from a flexible battery placed near the knuckle flows through the conductor and powers the LED just below the fingernail. Credit: 2017 Someya Laboratory. “It will become possible to monitor patients’ vital signs without causing any stress or discomfort,” says Someya about the future implications of the team’s research. In addition to nursing care and medical applications, the new device promises to enable continuous, precise monitoring of athletes’ physiological signals and bodily motion without impeding their training or performance. Chasing the ‘Holey’ Grail of Batteries ~ Will Porous Graphene Provide the Next ‘Quantum Leap’? 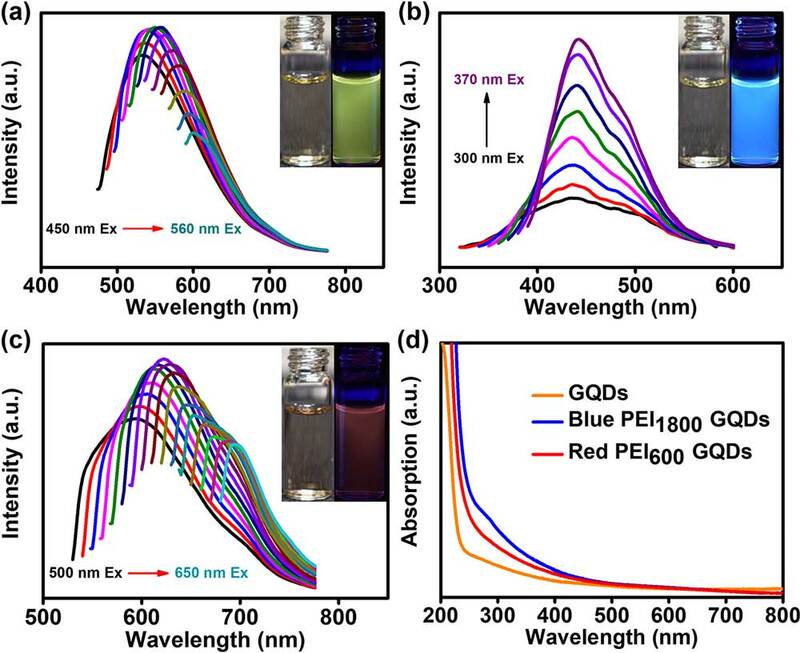 Graphene quantum dots (GQDs) show great potential in the fields of photoelectronics, photovoltaics, biosensing, and bioimaging owing to their unique photoluminescence (PL) properties, including excellent biocompatibility, low toxicity, and high stability against photobleaching and photoblinking. However, further development of GQDs is limited by their synthetic methodology and unclear PL mechanism. Therefore, it is urgent to find efficient and universal methods for the synthesis of GQDs with high stability, controllable surface properties, and tunable PL emission wavelength.In new work reported in ACS Applied Materials & Interfaces (“Red, Yellow, and Blue Luminescence by Graphene Quantum Dots: Syntheses, Mechanism, and Cellular Imaging”), researchers in China have synthesized PL-tunable GQDs with blue, yellow, and red emission colors by coating with polyethyleneimine (PEI) of different molecular weights. With its modern labs and manufacturing facility, Dotz Nano is capturing the market utilizing GQDs as an alternative material in hundreds of applications. Volvo Cars has been in the news recently in relation to their announcement this Wednesday on their decision to leave the internal combustion engine only based automotive industry. The Chinese-European company announced that from 2019 all their vehicles will be either pure electric or hybrid electric. In this way it has been argued the company is making a bold move towards electrification of vehicles. Volvo to capture potential market in China The company will launch a pure electric car in 2019 and that is a great move indeed, considering that the company has been owned by Chinese vehicle manufacturer Geely since 2010. The Chinese electric vehicle market has been booming in the last years reaching a sales level of 350,000 plug-in EVs (pure electric and plug-in hybrid electric cars) in 2016. The Chinese plug-in EV market grew 300% from 2014 to 2015 but cooled down to 69% growth in 2016 vs 2015, still pushing a triple digit growth in pure electric cars. The Chinese government has announced that in 2017 sales will reach 800,000 NEV (new energy vehicles including passenger and bus, both pure electric and hybrid electric). IDTechEx believes that China will not make it to that level, but will definitely push the figures close to that mark. We think that the global plug-in electric vehicle market will surpass 1 million sales per year for the first time at the end of 2017. Until recently this market has been mostly dominated by Chinese manufacturers, being BYD the best seller of electric cars in the country with 100,000 plug-in EVs sold in 2016. Tesla polemically could not penetrate the market but in 2016 sold around 11,000 units. Whilst the owner of Volvo Cars, Geely, is active in China selling around 17,000 pure electric cars per year, it might be that Volvo has now realized that they can leverage on their brand in the Chinese premium market to catch the huge growth opportunity in China and need to participate as soon as possible. More information on market forecasts can be found in IDTechEx Research’s report Electric Vehicles 2017-2037: Forecasts, Analysis and Opportunities. Is Volvo Cars’ move a revolutionary one? Not really, as technically speaking the company is not entirely making a bold movement to only 100% “strong” hybrid electric and pure electric vehicles. This is because the company will launch in 2019 a “mild” hybrid electric vehicles, this is also known in the industry as 48V hybrid electric platform. This is a stepping stone between traditional internal combustion engine companies and “strong” hybrid electric vehicles such as the Toyota Prius. The 48V platform is being adopted by many automotive manufacturers, not only Volvo. OEMs like Continental developed this platform to provide a “bridge technology” towards full EVs for automotive manufacturers, providing 6 to 20 kW electric assistance. By comparison, a full hybrid system typically offers 20-40-kW and a plug-in hybrid, 50-90 kW. Volvo had already launched the first diesel plug-in hybrid in 2012 and the company will launch a new plug-in hybrid platform in 2018 in addition to the launch of the 2019 pure electric vehicle platform. Going only pure electric and plug-in hybrid electric would be really revolutionary. See IDTechEx Research’s report Mild Hybrid 48V Vehicles 2017-2027 for more information on 48V platforms. The Tesla Model S is a full-sized all-electric five-door, luxury liftback, produced by Tesla, Inc., and introduced on 22 June 2012. It scored a perfect 5.0 NHTSA automobile safety rating. The EPA official rangefor the 2017 Model S 100D, which is equipped with a 100 kWh(360 MJ) battery pack, is 335 miles (539 km), higher than any other electric car. The EPA rated the 2017 90D Model S’s energy consumption at 200.9 watt-hours per kilometer (32.33 kWh/100 mi or 20.09 kWh/100 km) for a combined fuel economy of 104 miles per gallon gasoline equivalent (2.26 L/100 km or 125 mpg‑imp). In 2016, Tesla updated the design of the Model S to closely match that of the Model X. As of July 2017, the following versions are available: 75, 75D, 90D, 100D and P100D. A radical move would be to drop diesel engines On-road diesel vehicles produce approximately 20% of global anthropogenic emissions of nitrogen oxides (NOx), which are key PM and ozone precursors. Diesel emission pollutions has been confirmed as a major source of premature mortality. A recent study published in Nature by the Environmental Health Analytics LLC and the International Council on Clean Transportation both based in Washington, USA found that whilst regulated NOx emission limits in leading markets have been progressively tightened, current diesel vehicles emit far more NOx under real-world operating conditions than during laboratory certification testing. The authors show that across 11 markets, representing approximately 80% of global diesel vehicle sales, nearly one-third of on-road heavy-duty diesel vehicle emissions and over half of on-road light-duty diesel vehicle emissions are in excess of certification limits. These emissions were associated with about 38,000 premature deaths globally in 2015. The authors conclude that more stringent standards are required in order to avoid 174,000 premature deaths globally in 2040. Diesel cars account for over 50 percent of all new registrations in Europe, making the region by far the world’s biggest diesel market. Volvo Cars, sells 90 percent of its XC 90 off roaders in Europe with diesel engines. “From today’s perspective, we will not develop any more new generation diesel engines,” said Volvo’s CEO Hakan Samuelsson told German’s Frankfurter Allgemeine Zeitung in an interview . Samuelsson declared that Volvo Cars aims to sell 1 million “electrified” cars by 2025, nevertheless he refused to be drawn on when Volvo Cars will sell its last diesel powered vehicle. Goldman Sachs believes a regulatory crackdown could add 300 euros ($325) per engine to diesel costs that are already some 1,300 euros above their petrol-powered equivalents, as carmakers race to bring real NOx emissions closer to their much lower test-bench scores. Scandinavia’s vision of a CO2-free economy Volvo’s decision should also be placed in a wider context regarding the transition to an environmentally sustainable economy. Scandinavia’s paper industry has made great strides towards marketing itself as green and eco-aware in the last decades, so much so that countries like Norway have tripled the amount of standing wood in forests compared to 100 years ago. Energy supply is also an overarching theme, with each one of the four Scandinavian countries producing more than 39% of their electricity with renewables (Finland 39%, Sweden and Denmark 56%, Norway 98%). Finally, strong public incentives have made it possible for electric vehicles to become a mainstream market in Norway, where in 2016, one in four cars sold was a plug-in electric, either pure or hybrid. It is then of no surprise that the first battery Gigafactory announcement in Europe came from a Swedish company called Northvolt (previously SGF Energy). The Li-ion factory will open in 4 steps, with each one adding 8 GWh of production capacity. This gives a projected final output of 32 GWh, but if higher energy cathodes are developed, 40-50 GWh capacity can be envisioned. A site has not yet been identified, but the choice has been narrowed down to 6-7 locations, all of them in the Scandinavian region. The main reasons to establish a Gigafactory there boil down to the low electricity prices (hydroelectric energy), presence of relevant mining sites, and the presence of local know-how from the pulp & paper industry. After a long search for a European champion in the EV market, it finally seems that Sweden has accepted to take the lead, and compete with giants like BYD and rising stars like Tesla. This could be the wake-up call for many other European car makers, which have been rather bearish towards EV acceptance despite many bold announcements. To learn more about IDTechEx’s view on electric vehicles, and our projections up to 2037, please check our master report on the subject http://www.IDTechEx.com/ev . Top image source: Volvo Cars Learn more at the next leading event on the topic: Business and Technology Insight Forum. Korea 2017 on 19 – 21 Sep 2017 in Seoul, Korea hosted by IDTechEx. The team also included Kai-Jher Tan, Johannes Elbert, and Robert R. Taylor Professor of Chemistry Timothy Jamison at MIT; and Christian Ruttiger and Markus Gallei at the Technical University of Darmstadt. The work was supported by a seed grant from the Abdul Latif Jameel World Water and Food Security Lab (J-WAFS) at MIT.